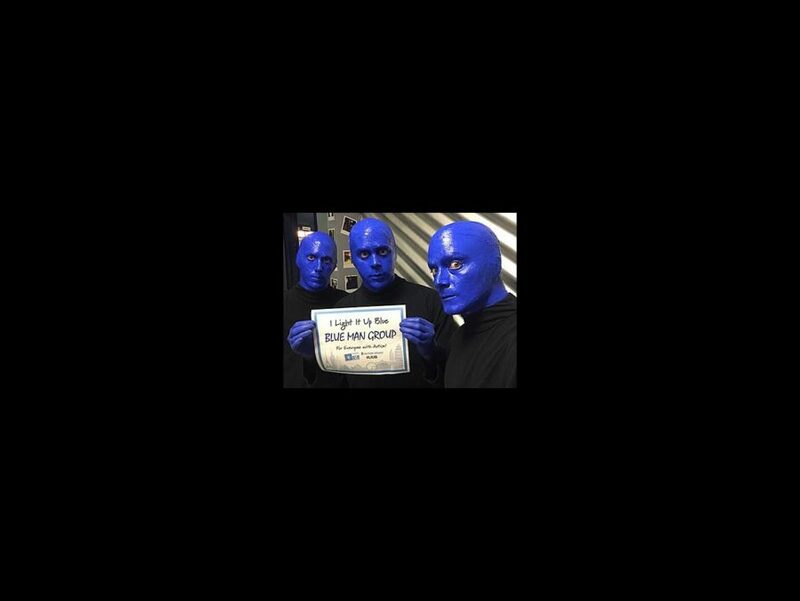 In honor of Autism Awareness Month, the award-winning Blue Man Group will launch a yearlong partnership with Autism Speaks. The entertainment company pledges to give a $25,000 donation to the cause and will host at least one sensory-friendly show, suitable for children with autism spectrum disorders in each of its markets. Throughout the month of April, Blue Man Group will take collections after each performance to be donated to local Autism Speaks programs in Boston, Chicago and New York City. In Las Vegas, where there is no local Autism Speaks chapter, donations will go to Grant a Gift Autism Foundation. In addition, each production will offer sensory-friendly shows on select dates throughout the year, with a percentage of proceeds benefitting the cause. For the sensory-friendly shows, slight modifications will be made including reducing sound and light levels at various moments during the performance and making headphones available upon request. The Blue Men will limit the amount of "chair walking" and keep their approach to the audience more subdued. Blue Man Group will also create calming environments in each theater's lobby for families seeking a break from the excitement.